20MOONS Dance Theatre Company will host “What is True?” next weekend at Durango Arts Center. 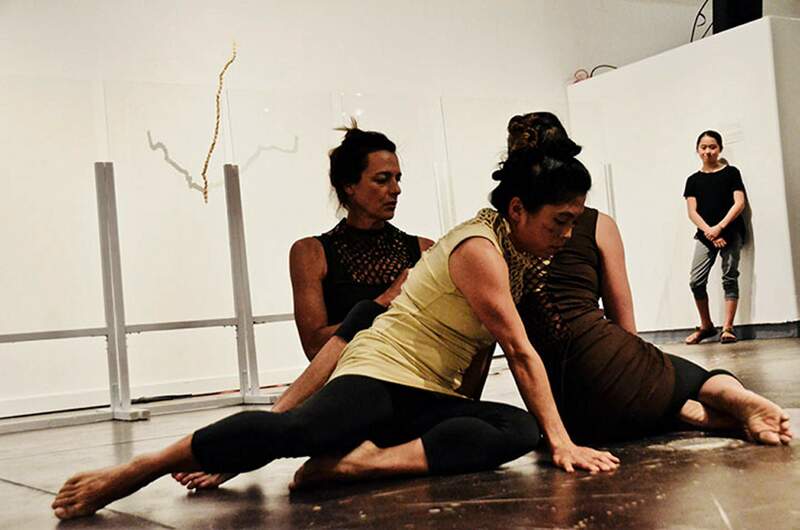 Contemporary dance theater company 20MOONS has multiple performances throughout the year, but co-artistic director Jessica Perino said the Nov. 16–18 event “What is True?” is different than what they’ve done in the past. “This is not a performance, it’s a process,” she said. The nonstop, 36-hour event includes movement, writing, vocal expression and quiet resting inside the Barbara Conrad Gallery at Durango Arts Center. The event is meant to provide a place for people to explore what it means to be true through repetitive action. There will be butcher paper on the wall for participants to write down their thoughts; there will be an area for rest, contemplation or meditation; there will be a space for people to announce thoughts out loud; an area to explore movement; and a place to watch. There will be about seven 20MOONS members and a rotating group of local musicians who will create a soundscape to the action. Anyone is welcome to view or participate. “Getting out of ordinary life can let extraordinary things be revealed,” Perino said. The event is free, although donations are encouraged. There will be instructions given to people upon arrival. Participants are encouraged to repeat whatever spark of inspiration comes to them, whether that is rewriting a mantra or an automatic movement. While everyone will be using the same space together, Perino said no one will be directly interacting. For safety reasons, to spend the night inside the studio, participants must show up before 11 p.m. Nov. 16 and 17. They can leave whenever, although nobody else will be allowed to enter until 6 a.m. Nov. 17. Perino said attendees should be aware that personal items are not allowed in the space, but there will be a place for people to leave their things. She encourages people to leave items home. There is no pressure for anyone who doesn’t want to participate; Perino said viewers are just as important, but she thinks people will be surprised and compelled to join in. When: Sunset Nov. 16 to sunrise Nov. 18. Where: Barbara Conrad Gallery, Durango Arts Center, 802 East Second Ave.